A systematic approach with a creative way to build customer relationships. From creating high converting sales pages to designing unique style guides to picking the right E-commerce platform, we will help your online business increase the average order value and frequency of purchase from both your current and new customers. From custom design and development, to store implementation and product integration, our team specializes in servicing E-commerce web stores across multiple platforms to create a seamless user experience for your customers. 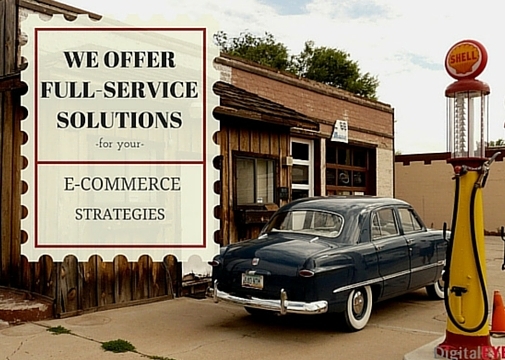 Our full service approach to E-commerce website design ensures your overall long-term success. Our innovative team is focused on building websites that are extremely unique and designed to convert visitors into customers. Digital EYE E-commerce specialists focus on understanding your company’s specific needs in order for us to develop and effective strategy to meet or surpass company goals. The design of your product pages has a direct impact on sales so it’s important that you are providing visitors all of the product information in a visually appealing way so they can make an effective buying decision. It should be easy for visitors to navigate your site and view different products creating a fast yet enjoyable shopping experience. When your inventory is not accurate or isn’t represented accurately in product images, it causes a big frustration for your customers. Because online shopping means forgoing seeing or trying it on in person the product in person for the convenience of purchasing at home or on-the-go, consumers value product and lifestyle imagery that entail all details, angles, and size guides. Customers identify with images within seconds and utilizing professional photography on your product pages is the best way to capture the true essence of your corporate brand and products. 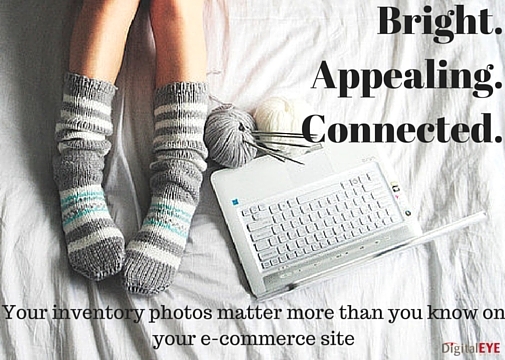 Brightly lit photos that show detail and true to life color create a better customer experience. Especially when the product arrives and matches customer expectations. Digital EYE employs modern usability techniques to ensure customers have a simple and effortless shopping experience making it easy to complete the purchasing process. Our creative design team doesn’t stop until we can confidently say that your website design is the most compelling website design when compared to any competitors in your industry. Web security is a big concern for online shoppers for a variety of reasons. The stories about corporate websites being hacked and private data breaches are becoming more prevalent. Not having a safe and secure website can lead to catastrophic damages for your company’s online reputation. 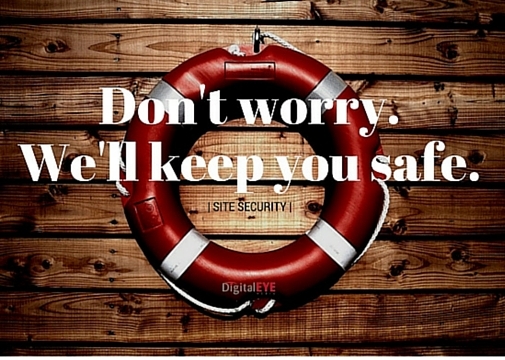 Our team knows the importance of managing a secure E-commerce website. From secure customer data management to PCI compliance scans, we make sure to cover all of the bases. Let us guide you through the process of getting a digital certificate to prove your sites authenticity as well as an encrypted connection to protective you and your clients sensitive data. 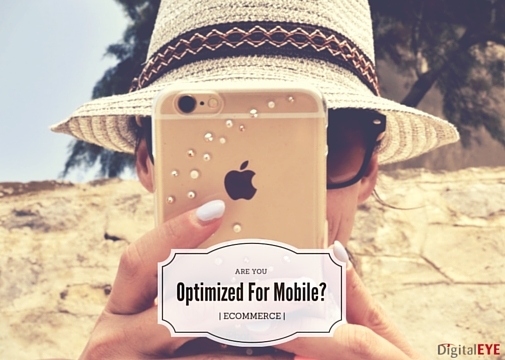 Failing to optimize your site for mobile devices is not only a rookie mistake, it’s potentially a decision that can ruin your business’s online presence in its entirety. Google reported that 2015 is the first year in which the number of mobile searches has surpassed the number of desktop searches. More and more customers are researching new product offerings and completing their shopping experiences from both their desktops and mobile devices. With smaller screens and less real estate for your online placement, standing out in the mobile space is and will continue to become more competitive. At Digital EYE Media, we have a mobile first mindset and know that in order to have sustainable E-commerce success in the future for our clients the battles are going to be won and lost with mobile. The customer purchasing process isn’t limited to a single device anymore. Consumers are increasingly using their mobile devices throughout the consideration process before making purchases. But they’re not just using mobile devices to research products and services, they’re converting on them as well. With the addition of wearables to the repertoire of mobile devices and the accelerating rate at which m-Commerce is growing, E-commerce leading websites are continuing to emphasize the importance of optimizing the user experience and purchasing process on all mobile devices. Why Partner With Digital EYE? Backing your business with the right answer whether it’s an enterprise level or smaller start up solution to meet and exceed the needs of your customers is what makes the most sense, and that’s what our team delivers. Call Digital EYE today and speak with a digital marketing expert about how we can help you dominate digitally in your space. Gain visibility at the top of the search engines, such as Google or Bing, using paid advertising to start sending new visitors to your business’s site right away. We use proven strategies to create and optimize high quality content, resulting in greater visibility in the search engines and more organic traffic to your website. Leverage your customer’s connection to their mobile phone as a way to deliver a personal experience and develop relationships with friends, family and businesses’. In this social-centric world, we utilize social media platforms and the power of influencers to target and connect with your ideal customers online in a compelling way.